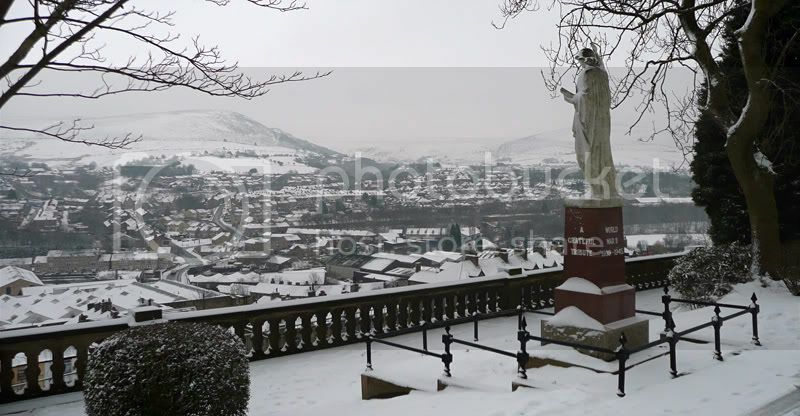 Mossley80's latest efforts to expand amongst the digital world (or whore itself out even more on the internet) means that this blog now has its very own Twitter page. For those of you who don't know what Twitter is, it's like a blog but instead of regular sized entries you're only allowed to make ones no longer that 140 characters, which long time readers of Mossley80 will know is going to be something of a challenge for me. Primarily it's used for providing people with small updates on what you're doing or what's happening - something that makes it perfect for giving updates on football - and eagle eyed readers of the Mossley AFC forum may have already noticed a mention of my first attempts at doing such a thing. I had trial run at 'twittering' during Tuesday night's game at Warrington and though it went okay, it wasn't exactly 100% successful. Trying to do four things at once (watching the game, filming it, taking notes on it and updating Twitter) meant that four things were not done very well. Still, it's something I'm going to persevere with and it's this spirit of 'desperately trying to get the hang of something' which will see me attempting to provide updates from the fans forum this coming Friday. Hopefully giving those who can't attend for personal or locational reasons, as well as those who are just to lazy to bother, the chance to feel involved and find out what is being said, etc. Therefore if you're stuck behind the PC (or a Mac - I'm not formatist) and want to know what's going on, click on the link below and follow my updates. You never know, someone somewhere may find it useful. So there you have it. Another unpaid and, when you boil it down, unnecessary service brought to you by Mossley80 that will probably peter out through lack of a interest in the upcoming months. This one probably won't though. If I was in the habit of doing short match reports, really short ones, it would probably go something like this: we won and it was a million times better than the Clitheroe match. Should that be all you ever wanted to know about what happened on the banks of the Ship Canal last night then stop reading now or you could be here a while. After waiting almost two months to register their first league win of 2009, Mossley made it two in four days with a hard fought for victory at Warrington Town's Cantilever Park. And unlike the late, late, late show that enabled them to win their previous game against Clitheroe, the solitary strike that settled this contest in Mossley's favour arrived much earlier. The match was only three minutes old when Lee Blackshaw and Clive Moyo-Modise combined to set up Michael Fish, and from twenty yards out the Lilywhites leading scorer struck the ball almost effortlessly into the bottom right hand corner of the net. 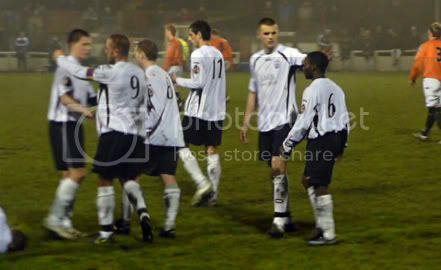 In the sixty seconds following the goal Mossley went close on two occasions to doubling their lead. First to trouble the scoreline again was Reece Kelly whose mazy run into a crowded penalty area was met with a good save from Ritchie Mottram. Moyo-Modise's pace then left Town's defenders trailing in his wake as he broke forward from the halfway line after the home side had surrendered possession. Unfortunately the finish couldn't match the approach play and his tame effort rolled past both a relieved keeper and the upright. It brought to an end a blistering opening to the game from the visitors but it also turned out to be their last real chance for quite a while as Warrington upped the tempo of their own game and started to cause the visitors an almost never ending series of problems. Standing between Town however and the goal their efforts probably warranted was Andy Robertson, the Mossley keeper, who pulled off a string of stunning saves in each half to maintain his sides lead. I only wish I'd managed to get some of them on video because a couple were truly staggering including: a double save that stopped an o.g. from being added to the score sheet, a flying leap to palm away a shot from a well worked set-piece arrowing into the top corner of the net and, best of all, an instinctive one handed stop at close range when a goal had looked an inevitability. That's not to say that the defence in front of him weren't doing their job properly – they were. Messrs. Middleton, Boothby, Wood and Mortimer all produced some telling tackles that prevented Robertson from having to face more shots than he did. As the home side became visibly more exasperated by the failure to score, the Lilywhites slowly began to force themselves back into the match more and having started the game on top, they finished it in the same way. One of a few hands on heads moments towards the end of the game. The second goal that would have settled the game (and a few nerves) never arrived though, despite the best efforts of Blackshaw, Fish and substitute Danny Egan who did find the back of the net, only for his shot to be ruled out for offside in what was a very marginal decision. Okay, forget the diplomacy – it was a poor decision. Having said that Mossley themselves had benefited from a lapse in the officials judgement just quarter of an hour earlier. And had the officials penalised Nick Boothby for a shirt pull as a Town forward burst into the box, it's likely we'd have been facing a penalty and seeing out the rest of the game with ten men. Swings and roundabouts is the phrase that I believe is appropriate here. In the end Fish's early strike proved to be enough to separate the two teams and whether it's boring or exciting, a win is all you ever want to see when your side plays football. And thankfully, though it may have been the same scoreline as the previous match, it was a damn sight more exciting and tense as the numerous grey hairs that sprung up overnight on my head will attest to. A lot of credit for heart quickening nature of the game has to go to Warrington as they played men like possessed in the middle third of the game. A greater amount of recognition however has to go to Mossley for withstanding the pressure something that's still a novelty after the house of cards moments from previous seasons. U.f.o. 's over Warrington or a strange new office block? It's not a bad week then, or if you want to be picky, eight days. We've reached our second semi-final of the season, got a faltering league campaign back on the rails and there have been no reports of ill effects from those who consumed Warrington's, frankly, scary looking curry. 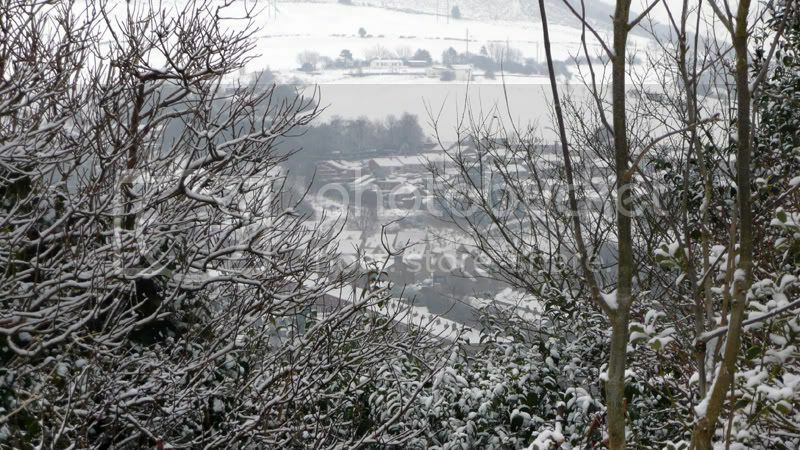 When was the last time anything this positive happened in February with Mossley? Not every game of football is going to be a classic. In fact most matches barely rise above the level of being merely average which makes those times when a great one comes along all the sweeter. There are those games though that fall under neither category. Matches which scrape along the bottom of the football barrel and this was one of those few. Oh, was this game bad. A ninety minute episode of 'My Family' bad. The match Kurtz had visions of before he died at the end of Apocalypse Now. I don't know about you but when supporters start talking about organising a petition to get the league to deduct points from two teams in midst of playing one another, you know a match has reached an unspeakable level of atrociousness. In fact I wish I could I forget it but as I've got a match report to write I can't. That particular little treat is going to have to wait a for a few hundred words. The unpredictable nature of football means that at times a definition of it can be distilled down to one moment of brilliance surrounded by ninety plus minutes of tedium. And it's a definition that sums this particular game up perfectly. With the game heading into injury time and towards the goalless draw that, like death and taxes, looked an inevitability from the moment the second half started, a series of one touch passes concluded with Lee Blackshaw receiving the ball with his back to goal, just inside the Clitheroe box. In one movement the Lilywhites winger scooped the ball over his shoulder and, on the turn, fired an unstoppable volley into the roof of the net – a goal worthy of winning a far, far better game. And annoyingly its complete unexpectedness meant that I missed filming it. All I've got footage of is Clitheroe's keeper in mid-air and the ball hitting the back of the net – not good when it's a possible contender for goal of the season. Both sides had gone into the game on the back of very impressive wins but there was little evidence of the type of football that got them on display. The match had got off to a relatively promising start, particularly for the visitors with Mossley a distinct second best. For all their possession though, only once did the Blues really look like capitalising on their advantage. It came when a corner arrived at the feet of Jonathan Smith after making its way through a series of poor attempted clearances. But with more time available to him than he probably realised the Clitheroe centre half sent his snap shot high and wide of Andy Robertson's goal. By choosing to swap the long ball tactics they'd been toiling with for more measured passes across the difficult playing surface, Mossley finally began to make some inroads into their opponents and the game slowly began to swing in their favour. Clive Moyo-Modise became the first player to call a keeper into action when he worked an opening for himself with some fine footwork that bamboozled all but Martin Fearon, the Clitheroe keeper, who made a good stop. His next save a few minutes later was even more impressive, somehow managing to divert a close range effort from Lee Blackshaw away to safety. It wasn't the end to Fearon's call to flying arms either. Once more he was to deny M&M a goal on his second debut but he almost paid the price for getting caught in no-mans land when Mattie Kay burst through from midfield and rolled a ball just wide of the post. It was a strong end to the half for the Lilywhites though they did ride their luck when the referee ignored a very strong claim from Clitheroe for a penalty. That said Mossley themselves were on the wrong end of some highly debatable decisions which brought a couple of promising looking attacks to a premature halt. All told it wasn't the best half of football there's ever been but what followed after the interval made it look like the 1970 World Cup Final. I can't remember seeing a worse forty five minutes of football for quite some time and talking to a few of the supporters present, neither could they. Someone charitably described it as 'mundane' but 'awful' would be nearer the mark; both sides effectively cancelling one another out as the game devolved into the type of midfield battle which the word dour could have been invented for. There wasn't even the remotest hint that the game could spring into a modicum of life which made what happened in its closing moments, as supporters willed the game to finish, even more of a surprise. However, Lee Blackshaw's superbly executed goal in time added on at the end of the match meant that for all its faults as a piece of entertainment, the game at least had a happy ending for the home fans in attendance. At this point I'd write a few paragraphs summing up my thoughts on the game but I think that this time my feelings on what happened are pretty evident within the report itself. With the end of the season drawing nearer and a whole host of postponed games to try and fit in to what little of it is left, you'd have forgiven both Mossley and Retford United if they'd chosen not to take this fixture in a minor cup competition that seriously. Even though a place in a semi-final was the reward for the winners, the prospect of another fixture to fit into an all ready overcrowded schedule wouldn't have been a particularly welcome one. To both sides credit though they played it like there was something far more important at stake and provided the crowd at a fog enveloped Seel Park with a game worthy of a better competition than the President's Cup. 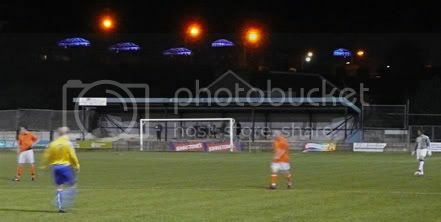 The early momentum was seized by the hosts and from the moment Lee Blackshaw almost put them ahead in the third minute, the Lilywhites, over half of whom were making either their first or second appearances for the club, dominated their high flying visitors from the Unibond First Division South. 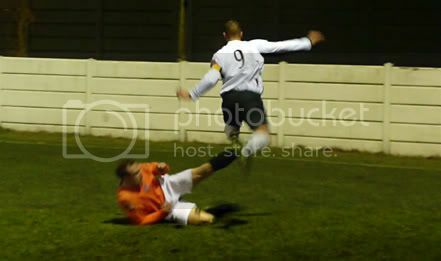 Chances came thick and fast as United's back line struggled to cope with the pace of Mossley's attacks and it was only their keeper, Chris Kingston, who was stopping the men in white from running up a cricket score; the pick of a string of superb saves being a one handed stop at point blank range to deny Michael Fish. He was finally beaten however in the 28th minute when a thunderous free-kick from the edge of the penalty area by Danny Dignan flew beyond his reach with the help of the merest of deflections. The scoreline finally began to reflect the balance of play when the lead was doubled in the second minute of time added on at the end of the half. A move down the right wing reached its conclusion when Reece Kelly split open the United defence with an inch perfect through ball that gave Craig Buckley the chance to roll the ball past Kingston for a debut goal. The flip side to the celebrations that took place though was the sight of Danny Dignan lying on the pitch in a considerable amount of distress after being the subject of an horrendously late and somewhat cowardly challenge earlier in the move, and one which astonishingly saw the perpetrator, former Lilywhites captain Danny White, go unpunished. The lack of any kind of punishment was made all the worse, and not a little farcical, when Dignan's replacement Danny Egan was shown two yellow cards in quick succession for lesser offences midway in the second half. But that's what football has come to: potentially career ending tackles – okay, a rude word in the direction of the referee – yellow card. It wouldn't be so bad if there was some consistency as the man in the middle allowed a considerable number of Retford players to abuse him without reproach during the course of the game. At the time the red card was shown Mossley were already having to withstand an intense amount of pressure being placed on them by their opponents. As cliché's go it's one I'm incredibly loathe to use but not for the first time on this blog I find myself with no other option than to type: it was the proverbial game of two halves. And not for the first time feel dirty for having done so. Whereas Mossley basically controlled the first half, they spent the second virtually encamped in and around their own penalty area. Whether this was through choice or necessity caused by a fired up opposition is anyone's guess though the truth probably lies between the two extremes. Despite now controlling the game themselves though, Retford were struggling to breakdown the Lilywhite's relatively inexperienced but resolute defence, ably backed up by goal keeper James Mann. The immediate aftermath of the dismissal however saw the home team wobble slightly and the Nottinghamshire side quickly made the advantage given them count when Mick Godber pulled a goal back. Happily it was to be almost their last sight of goal too as Mossley quickly regained their composure and their backs to the wall performance limited the Badgers to just one more opportunity - a shot which was cleared off the line after hitting a post - before the final whistle sounded. And what a sigh of relief greeted that sound. To say it was tense in the closing stages as Mossley defended the Park End goal as if it was the mission at Rourke's Drift would be a tiny understatement. Any more games like this one and fingernails will be the least of my concerns as I'll have gnawed my fingers down to the knuckles. Some said it was like the Alamo, which in a way it was, but happily with a far better outcome for the defending team. It's a win made all the more impressive too by not just that it was an untried and untested line-up that went up against the Southern Divisions league leaders, but also by the fact the injury crisis currently affecting the club meant that regular goalkeeper Andy Robertson led the forward line on his own for the last fifteen minutes of the match. The first half was the best spell of football Mossley have produced since before Christmas and from the first to the ninety fourth minute they worked they're slowly muddying socks off; it was a pleasing and reassuring glimpse of the side we were a couple of months ago. Some of the faces may have changed but the spirit and will to win was there again for all to see. And even though the victory arrived at a cost with further injuries and suspensions to test an already paper thin squad, it was one that showed that there's enough character in the team to cope with what's going to be a hectic final two months to the season. Now I'm off to try and relax, coax my nerves back from the edge they were teetering on last night and mentally will my nails to grow again in time for them to be nervously bitten away during the game against Clitheroe and the 20+ matches that follow that one. 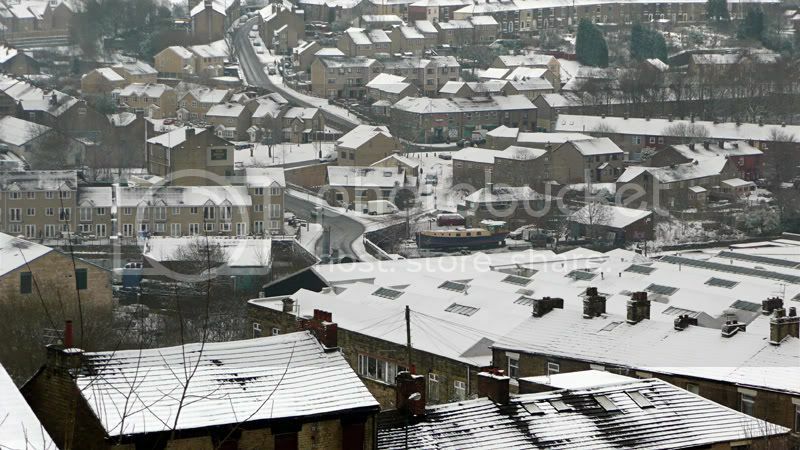 And so Mossley's season becomes even more congested. The last traces of the recent spell of bad weather lingered long enough in the north east for the Lilywhites scheduled game at Newcastle Blue Star to be called off and increase the fixture pile-up they're facing in the final two months of the season. To be honest though, even if Mossley had played out ninety minutes at Kingston Park you still wouldn't be reading about it on here. For a multitude of reasons I'm not going to bother explaining here, unless it's a title decider or a very important cup match there's no way I'm going to be making my way up the A1 to Newcastle or Durham - be it this or any other season. With this in mind I was expecting to sate my need to watch a game of football by making another trip to Lambeth Grove, this time to watch Woodley take on Lancaster. 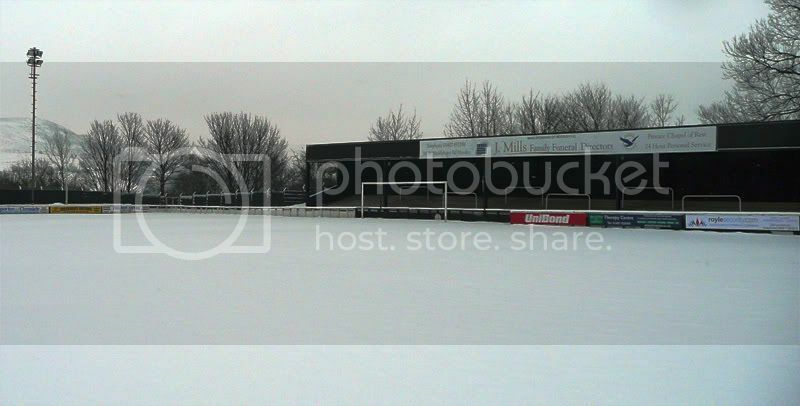 But thanks to the same wintery weather the blighted the chances of Mossley's game taking place, another possible destination arose: Salford City vs Durham City. This fixture had been originally scheduled to take place on Durham's all weather surface but as we all know at Mossley, that wonder of modern technology doesn't quite live up to its title in the north east, so the match was switched at very short notice to Salford. And it showed. All credit to the Ammies for agreeing to the swap but in doing so they must have lost out on a fair bit of income. There were no programmes, a lot of the regular supporters were missing and the whole thing had an air of a hastily arranged friendly. It was a theme that permeated the first half too as both sides looked to be doing nothing more than going through the motions. Only once did the boredom deadlock look like being broken but a free header on the edge of the six yard box was dealt with comfortably by the Salford keeper. Thankfully second half was a touch better, due in small part to the visitors taking the lead out of the blue in the 52nd minute. It may have been the only goal of the game but it was one worthy of winning better matches than this - Shaun Bell hitting a thirty yard shot that arrowed into the top corner of the net. Like their match in midweek though against Colwyn Bay, going a goal behind seemed to transform Salford and they hammered away at Durham's defence like men possessed. 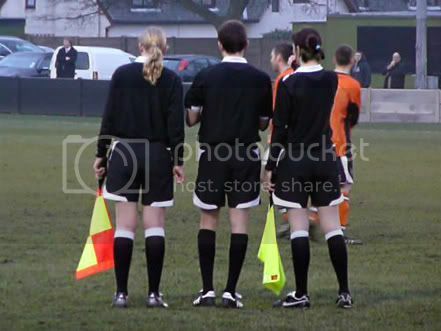 And in further echoes of their previous game, the referee turned out to be their hardest opponent. Not least when the man in the middle waved play on after Salford's centre forward had been Schumachered (Toni not Michael) by the Durham keeper on the edge of the box as he took the ball past him. It was an horrendous challenge and if something like that isn't going to get punished, the chances of being awarded a free-kick for handballs and tackles from behind in a similar area are going to be even more remote. And that's precisely what happened with Durham's less than comfortable looking back line getting a helping hand from the man in black. To their credit though Salford continued to pound away but with time almost up Durham were awarded a very soft penalty and given the chance to make the score line a very flattering one. The spot kick however was brilliantly saved though and the counter attack Salford launched from it which was brought to a shuddering halt on the halfway line when Durham's number six hacked Jamie Tandy to the ground. It was one of the most cynical tackles you're ever likely to see on a football field and rightly had the referee waving the red card before the offender had even picked himself up off the ground. What followed can only be classed as a 'free for all' as both sets of players indulged in a prolonged bout of fisticuffs which, rather amazingly, ended with just one yellow card being shown. And with that the game ended. The officials discuss the late meeting between chins and fists. Unlike those who made what turned out to be an ultimately forlorn trip to the Archibald Stadium back in December, this was the first time I've seen Durham play this season, and while you shouldn't judge teams on the basis of one game, I wasn't particularly impressed with them. For a side who are favourites for promotion there was little, if anything, that made them stand out from the rest of the teams in the league. The one noticeable trait they had is an unfortunate one that's also shared by another club in the league - Skelmersdale and their compunction to scream or fall over claiming a foul at every opportunity. It's unbefitting of any club let alone one hoping to claim a league title. As for Salford - you've got to have some sympathy for them. Twice in the course of five days they finished a game without getting the point they at least deserved and look increasingly like being the side who'll be waving goodbye to the Unibond North as they fall through the trap door at the end of the season. It's a shame really as this, their third different squad of the season actually looks like a side capable of doing something in the league. And more annoyingly Mossley still remain the only side they've beaten in the league. Anyhoo, the weather forecast suggests that the game due to take place at Seel Park on Tuesday night will actually go ahead. How much of a game it will turn out to be though is another matter as a win for either Mossley or Retford will only add another unwanted match to the upcoming fixture chaos, So be prepared for a long night as both sides could be trying their best to avoid winning. Finally! After ten days of postponements I've finally got to see a live match again. Okay, so it was a game that didn't involve Mossley but when you're on the verge of going stir crazy you'll grasp at any straw available and Salford City versus Colwyn Bay was a very handy straw. And a highly watchable and entertaining straw it turned out to be too. I'll be honest and say that I went to the game not expecting much, but it turned out to be one of the best matches I've seen this season. It's a match that also gave us the opportunity to ponder further on whether our heavy defeat in North Wales at the end of last month was down to Colwyn Bay being that good or us being that bad. The conclusion we came to did not reflect well on Mossley. There's no question that Bay are a good side and the ease in which they took the lead after only twenty seconds of the game had elapsed (yes, twenty seconds) suggested that a rout would be forthcoming. Unlike the Lilywhites though on that fateful day besides the sea the Ammies proved to be a lot more robust, mostly due in part to the fact that they had a midfield and not the gaping hole as we had had at Llanelian Road. Those of you who went to Colwyn Bay a few weeks ago will remember that their follicly challenged and late tackling number six was virtually allowed to run the game in midfield. Not so in the match as Steve Tobin played out of the game. And yes, that is the same Steve Tobin who graced our midfield a few years back and was possibly the best player on the pitch in this particular ninety minutes. While it's true to say that the visitors created a few more good openings in the remainder of the first half, it was nothing compared to what their defence were having to deal with at the other end of the pitch. Salford had shots blocked on the line, shots roll across the goal line, shots saved by the keeper and four very strong penalty appeals turned down. It was a fantastic half of football and though the second period didn't surpass it, it at least equalled it. No mean feat either when you consider the frost that was crisping the ground was replaced by rain and then heavy falls of sleet. The pattern for the half was the same as the first with Salford piling pressure on the Welshmen's goal while Bay looked dangerous on the counter attack. With the end nearing it looked as though Salford wouldn't get the goal they deserved but a piece of magic in the Bay box by Steve Tobin ended with him drawing Salford level. At this point it looked as though that with the momentum they'd built, Salford would go on to win the game but a clinical piece of football from the visitors nudged them in front again before the win was sealed in injury time; Mossley's tormentor in chief Dean Canning taking advantage of Salford's lack of numbers in defence to run half the length of the pitch and make it three. The final score was harsh on Salford but at least they'd given it a damn good go - a fact obviously picked up on by their supporters who applauded them off the pitch at the end. They may not be the greatest side in the world, or even this division, but Salford showed what a bit of belief can almost achieve. Something that does leave you wondering what might have been had we shown some of it ten days ago too. Ah well, as I'm not making the trip up to Newcastle at the weekend I'd better find another match to go to in order to avoid going through cold turkey again. What a strange weekend that was. Here we are approaching the business end of the season and there’s no football to update the blog with over the weekend. 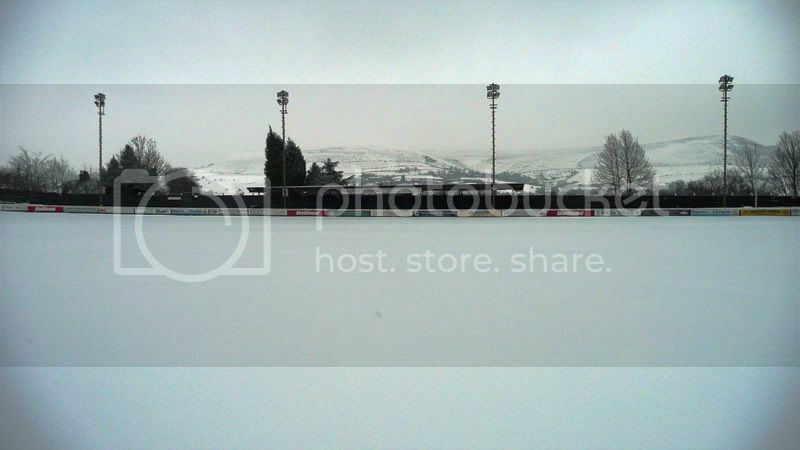 No Mossley match thanks to the weather and no other local matches for precisely the same reason too. So I’m afraid that instead of a moderately interesting but vastly overlong testimony on a game I attended*, you’re going to have to make do with some more of the photos I took last week and rashly promised would be online some days ago. Why weren’t they? Can I blame the snow? Just click on a picture to be taken to a larger version. *I suppose I could have written a few paragraphs on the televised match at Eastlands but I don’t think I could have kept it short. A £100m plus spent since the summer and City still look their defensive tactics are lifted wholesale from Mike Reid's Runaround. Still, at least they won – thankfully – and in doing so made Saturday just that bit more bearable. At least until the evening TV schedule kicked in that is. Will football make a return to these less than hallowed electronic pages this week? Who, and indeed goodness, knows. Unlike Monday's flurries which almost had entire news programmes given over to them, today's snow fall has gone largely unheralded in medium of television. Why? You can probably guess. None of it fell in South East so it wasn't reported on in case it disproved the theory that the media is incredibly London-centric. And we wouldn't want that to happen would we - that they might be national organisations. As I obviously now won't be doing a match report at the weekend I'll endeavour to use that time to put some more of the snaps I took today up on the blog. You can't wait can you? 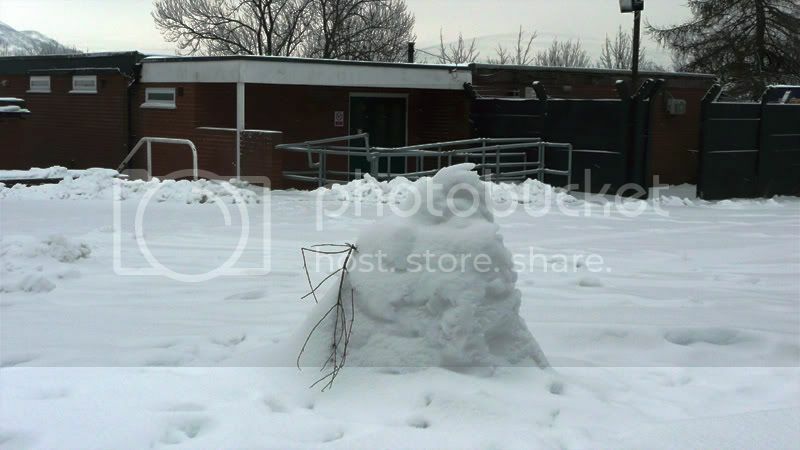 Snow - Good For Photos With A Low ISO. If you’ve not been outside for a few days and live with the curtains permanently shut in your house, you may not realise it but we’ve had a fair bit of snow over the last 48 hours or so. Of course the many inches that fell over the local region (which left many routes passable only with extreme care, footpaths treacherous for pedestrians and abandoned cars blocking roads - the bottom of Micklehurst Road looked like a car lot this morning) was nothing compared to the near apocalyptic conditions the South East was experiencing. 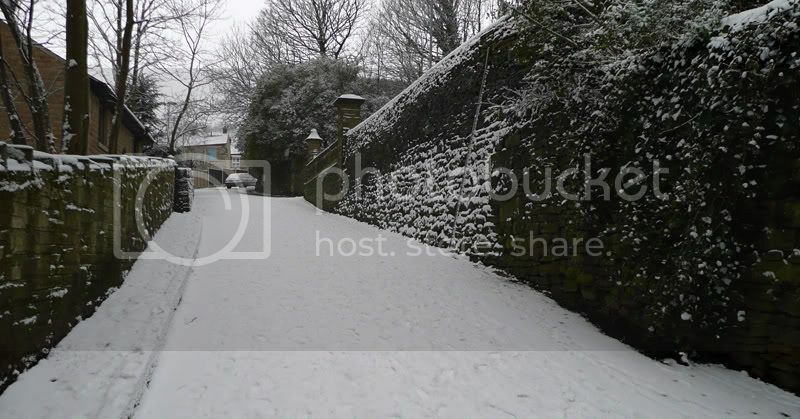 Yes, London had some snow and suddenly the media naturally went into ’End of Times’ overdrive. However I don’t want to get into a north/south argument, primarily because as an intellectual exercise it’s an argument that’s way too easy win. 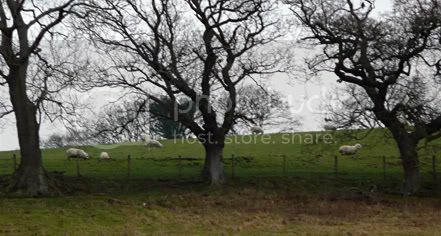 Instead I’m going to do what all bloggers are expected to do at times of bad weather and post some pictures of it. All were taken on my way too and from work and there's one from today in there too. There aren’t actually that many because standing still long enough to do them was a near impossibility on our wonderfully footpaths, but here they are for your enjoyment/indifference/”why the hell are you posting these?” annoyance. As always, delete as applicable to suit your mood. Instead of doing this I really should be getting on with knocking the forum back into shape after its upgrade, but some unexpected obstacles have turned what should have been an easy transition into one where I’m rocking backwards and forwards in a foetal position, occasionally emitting out a small whimper. I’m not going to go into too much detail but the upgraded forum appears to have been coded slightly differently to the test one we’ve built the new skin and format on. And as a consequence CSS mayhem has ensued. The back-up one comes out to play. 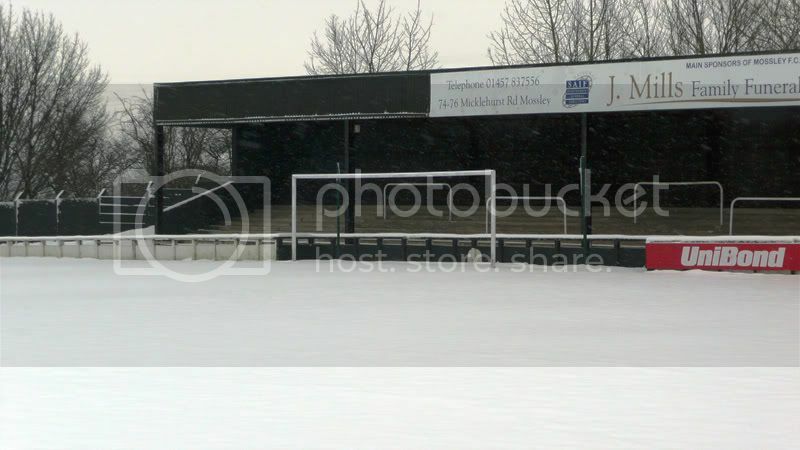 If you're suffering withdrawal symptoms from the forum while it undergoes a few changes, don't forget that the 'olde Mossley AFC chatorium' has been re-opened to fill the void for a couple of days (or possibly three). You'll have to register to use it but it's a quick and painless process - unlike the watching the match last Saturday. Six – one. Six goals for Colwyn Bay and one for us. I don't want to come over like Gordon Ottershaw from that infamous episode of Ripping Yarns but six - flipping - one! And speaking of 70's television, at the back end of the decade there was an advert that listed the many successes of Welsh industry which ended with the phrase “Made in Wales” being sung to the tune of Bread of Heaven. A few years later as those self same businesses closed down at twice the speed Concorde was crossing the Atlantic in, Not The Nine O' Clock News spoofed the ad by changing just one word. And it's that male voice choir from the BBC programme singing “Failed in Wales” that played over and over in my head as Mossley scraped themselves across the bottom of the barrel in Cymru. To say that the result and performance came as something of a shock would be understating things just as a tad. And unlike a fair proportion of the Mossley supporters in attendance I had to watch it stone cold sober. Mossley in the pre-match warm-up. It was all down hill from here. With Mossley having failed to register a home win in the league since October, their ambitions of occupying a play-off spot come the end of the season have been kept alive by their performances away from Seel Park. 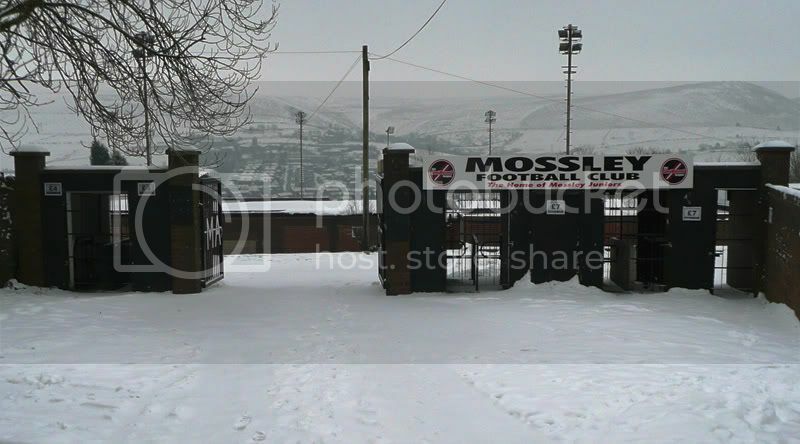 So with this in mind there was a certain amount of hope that away from the relative 'comforts' of home for the first time in the league in 2009, Mossley would register their first victory since Boxing Day. As the saying goes though “all good things must come to an end” and the Lilywhites four match winning streak 'on the road' did so in a frighteningly embarrassing fashion in North Wales. The damage was mainly done within the space of five first half minutes. Lee Canning was given the time and space to head home a free-kick on the edge the six yard box and Rob Hopley took advantage of some similarly slack marking to double Bay's lead following yet another set piece. Two quickly became three as less than a minute after Hopley's strike the Mossley defence parted like the Red Sea allegedly did for Moses and Canning was gifted the opportunity to notch his second goal of the game. It's a dull photo but it breaks up the text. With over three quarters of the match still remaining it's fair to say that things looked a trifle ominous for the visitors. Fortunately some horrendous misses and over elaboration by Bay meant that there was no change to the scoreline by the time the interval arrived. It allowed hopes of an unlikely comeback to be raised just after the start of the second period when Michael Fish pulled a goal back for the Lilywhites from the penalty spot. The faint optimism it generated was soon dashed however as Mossley conspired to concede two more goals in quick succession. Bay's fourth was tapped in from close range by Edwards after the visitors had somehow managed to turn a situation in which they were under no apparent danger into one that finished with an opponent standing in front of an open net with the ball at his feet. Such was the ridiculous nature of the goal that it's impossible to describe precisely what happened without the aid of a series of diagrams – each one increasingly more absurd than the last. 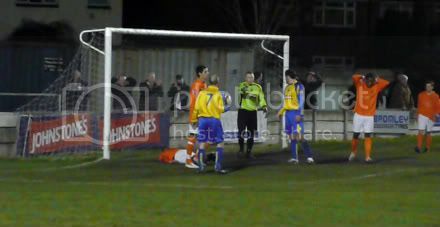 Its status as the most ludicrous goal Mossley have conceded in recent memory however was sadly to be a short lived one. Just three minutes later a breakdown in communication between Simon Wood and Andy Robertson ended with the former tapping the ball through the latter's legs as he bent down to collect Bay fullback Aspinall's over hit pass on the edge of his box. And as it rolled slowly into the net I wouldn't be surprised if the collective sound of travelling supporters palms slapping their foreheads could have been heard back in Mossley. Just when it looked like we might escape the ignominy of conceding a sixth, Garside wrapped up the scoring in the 87th minute with what comfortably the best goal of the afternoon; the Bay substitute finishing a fluid move by half-volleying an effort from twenty yards beyond the reach of Robertson. Of course a fluid movement could be used to describe Mossley's contribution to this game but I have far too much respect for you to bring the 'd' word into this report, and nothing at all to do with the fact that I can't spell it properly. Admittedly Mossley's task wasn't helped by the loss through injury of three of their more consistent performers in recent months but that can hardly be used as an excuse for what transpired. It may be common for one or two players to have an off day but for all but a couple to have one is extraordinary. That said it's hard not to wonder how different things might have been had a looping effort from Fish in the third minute not been acrobatically headed off the line by Graham Branch, or if they'd taken just one of the other opportunities that presented themselves – the Lilywhites having created just as many chances as their hosts did. Still, losing by six goals to one can hardly be classed as unlucky and hopefully some of the harsh lessons learnt in this game will stand them in good stead for reclaiming the ground they've lost on the other teams chasing a play-off spot. The scenery was far better than the match. I could go on like I usually do, proffering my opinions on as to why I think things happened as they did but in all honesty I don't want to spend more time than I have to revisiting this game. So for the sanity of those of us who had the misfortune to attend, we'd be very grateful if those of you who didn't forgot it ever happened. Please don't turn up at the next match and ask “did you go?” The answer may well offend or bring about an uncontrollable rage. 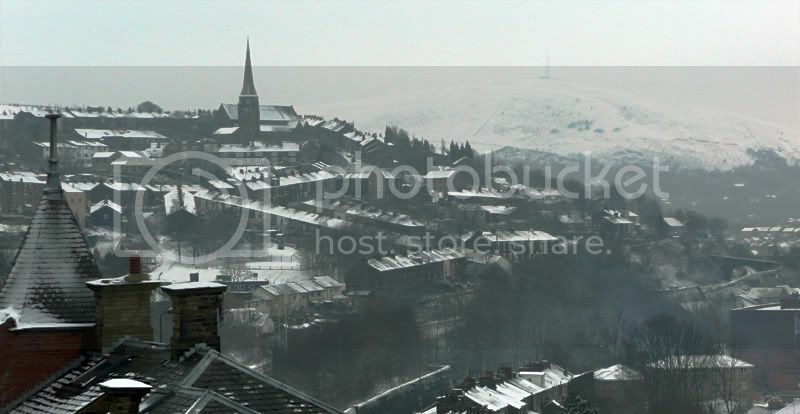 Mossley80 - Going to places so that you can be thankful you didn't.